Our ‘Brilliant Club’ students had a great time in Oxford on Monday 21st January, at the launch of the Scholar’s programme. 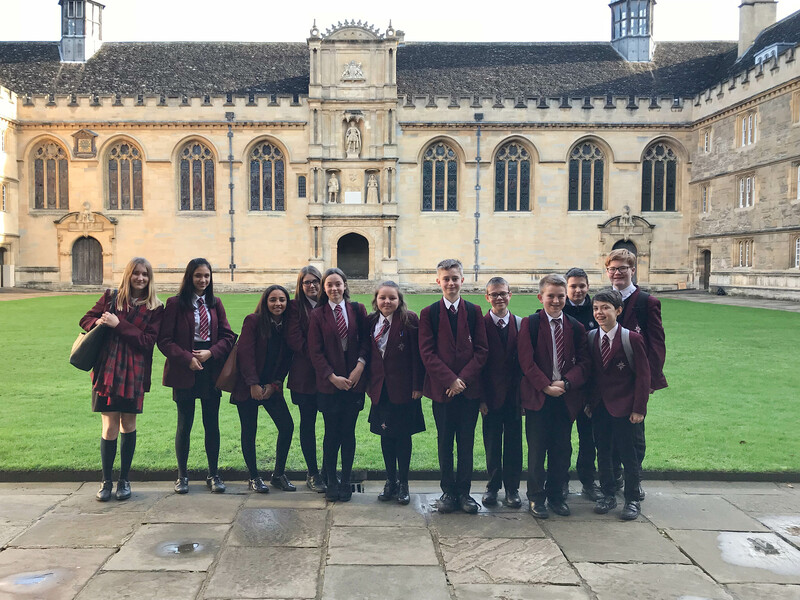 They were treated to an in-depth tour of Wadham College and were able to get an idea of what university life is like from students studying there. Over the next few weeks, our Brilliant Club will be completing work with a PhD lecturer on the topic of ‘Can Poetry Save the Planet? The role of poetry in a time of climate crisis.’ We look forward to their graduation ceremonies in the summer term.